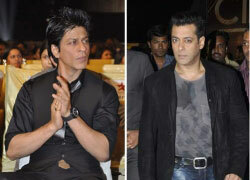 News Maker: Shahrukh Khan convinced 'Dabangg' director? Shahrukh Khan convinced 'Dabangg' director? Shahrukh Khan convinced 'Dabangg' director? : Abhinav Kashyap’s ouster from Dabangg sequel is being met with a lot of speculation. Buzz is that he has switched loyalty to Shahrukh Khan. Arbaaz Khan has confirmed that Kashyap won’t direct Dabangg sequel due to “personal and professional reasons” but never went on to clarify what those reasons are. Kashyap’s ambivalence towards directing the sequel was rooted first and foremost in the fact that he had his differences with Salman Khan and Arbaaz Khan during and after the making of the film. On top of it came a lucrative directing offer from none other than Shahrukh Khan. SRK had approached Kashyap with an offer to direct an entertainer for him. But rather than succumbing to the offer at first temptation, Kashyap, we hear, had opted to stick with Salman and Arbaaz for Dabangg 2 because he is attached to his debut film. Alas, Arbaaz did not offer him a good paycheque. Reportedly, he was being paid the same amount he got for Dabangg, even though other banners, including SRK’s Red Chillies, were willing to shell out Rs. 2-3 crores to Kashyap. Naturally, Kashyap opted for SRK’s film and bowed out of Dabangg sequel. Now, Arbaaz will himself direct the sequel.